Book Rohan Silva as a keynote speaker. Rohan Silva is an entrepreneur and high-profile commentator on technology and startup culture, particularly in the UK. He's an expert speaker on the impact of technology on business, the future of work, and how government can harness the power of technology to create a vibrant economy. For more information on technology speaker Rohan Silva, contact VBQ Speakers founding agent Leo von Bülow-Quirk on leo@vbqspeakers.com or 0044 7833 727090. Rohan Silva is an entrepreneur and high-profile commentator on technology and startup culture, particularly in the UK. He's an expert speaker on the impact of technology on business, the future of work, and how government can harness the power of technology to create a vibrant economy. From 2010 to 2013, Rohan was Senior Policy Adviser to UK Prime Minister David Cameron, focusing on technology, innovation and enterprise. Previously, he served as Senior Policy Adviser for the 2010 General Election and Economic Adviser to the Shadow Chancellor George Osborne (2007-10). In government, he was the brains behind a number of pioneering initiatives, including: Tech City in east London, which in two years grew the number of tech companies there from 200 to over 2000; the world's first Entrepreneur Visa; tax breaks for angel investment and entrepreneurship; opening up government procurement to SMEs; and commissioning the Hargreaves Review on Intellectual Property. Rohan's latest venture is as co-founder and co-CEO of Second Home, a curated membership-based co-working space for entrepreneurs and startups. Second Home is at the forefront of the the workspace revolution and now has three locations in London and a fourth in Lisbon. 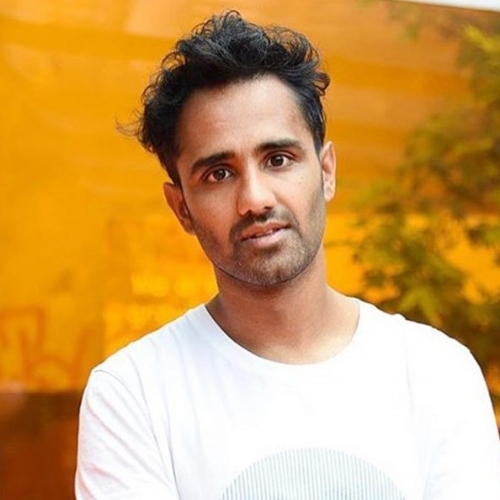 A prolific media commentator, Rohan writes a regular column in the Evening Standard and has presented a number of documentary shorts focusing on the opportunities and risks presented by the digital economy. These include “Re-skilling for a 21st economy: How Technology is driving middle-class job loss” and “The Healthcare Revolution: The potential of sharing genomic and clinical data “. Rohan has been named by the World Economic Forum as a Young Global Leader. Few people are as embedded in the UK and global tech scene as Rohan. As such, he offers a unique perspective on the key tech trends shaping the business landscape, and the latest startups that are set to disrupt traditional business models. As an entrepreneur and CEO of Second Home, he also shares valuable first-hand experience of what it means to build and lead a company in the 21st century digital economy, and how the world of work is changing.